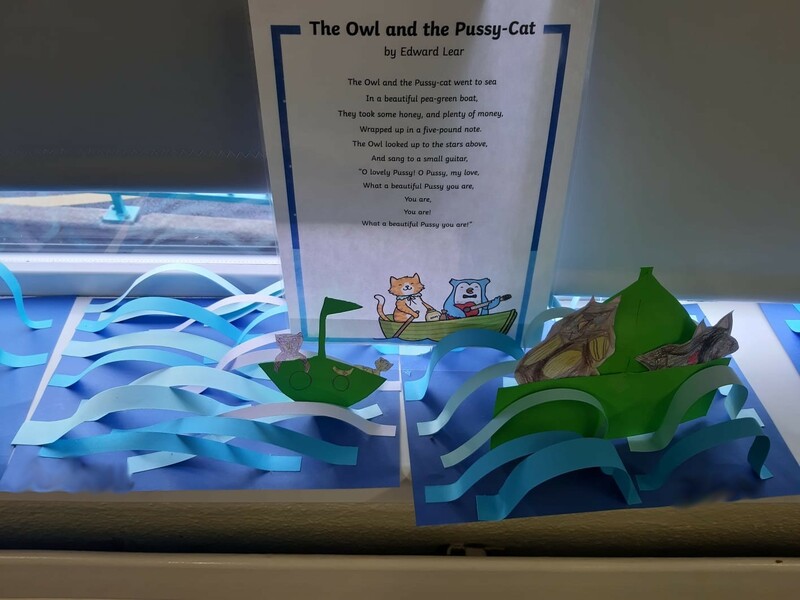 In English they have been reading some classic poems, such as Edward Lear’s poem “The Owl and the Pussycat” which has delighted readers of all ages for generations. One child very kindly brought in his money box from home when he realised what the characters were from! 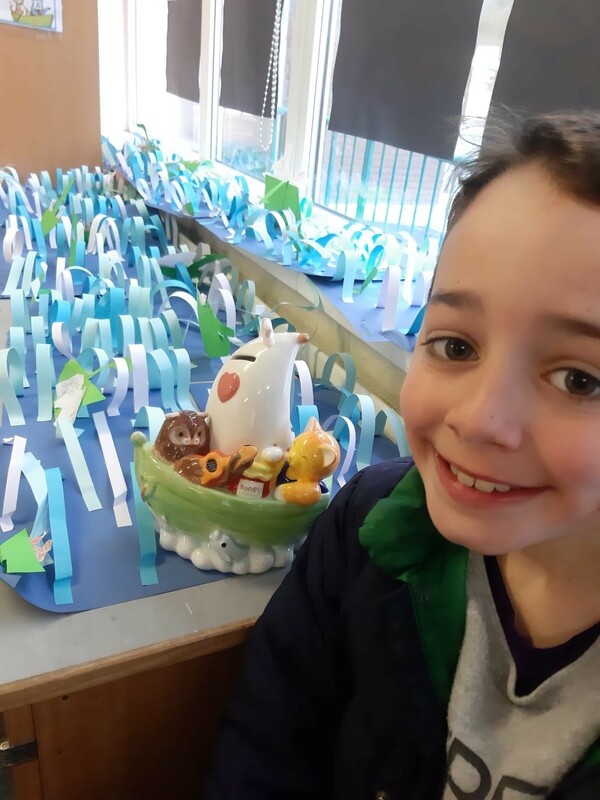 During Art the children sculpted blue paper into three dimensional waves. 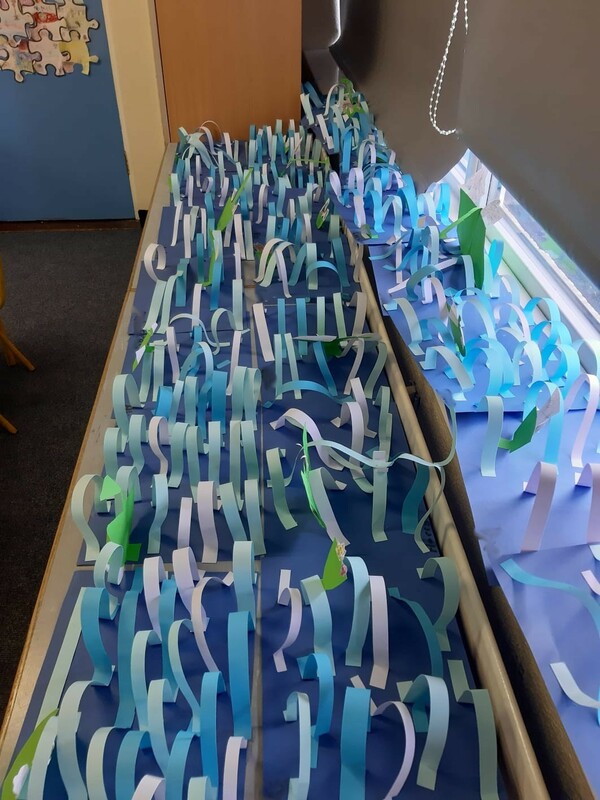 The way they diligently chopped, twisted and curled the paper to suggest the movement of the sea was especially effective.